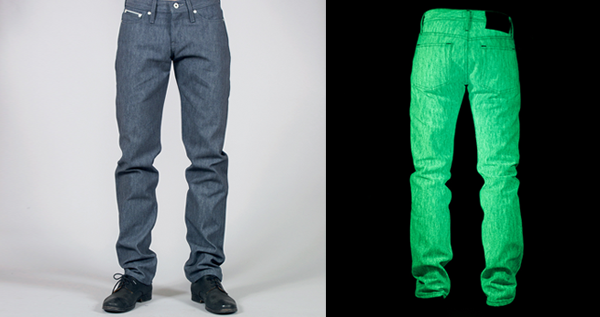 These are real photos of the jeans in the dark! They look crazy, you will definitely stand out in a club! They glow super bright neon green under UV light.